Hi friends! It's been almost a month since I last posted...I'm sorry for that but it's been busy around here. I had some fun design projects to work on for clients and I was having a lack of inspiration on the blog front. Sometimes a break is needed but I did miss you all! 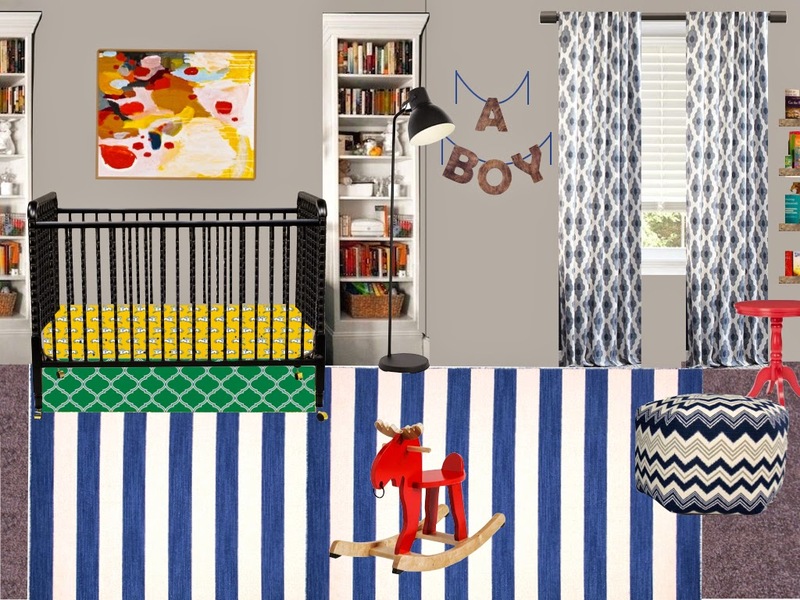 While I was away from the blog world, I got to design the below nursery for some dear friends who are expecting a baby boy. 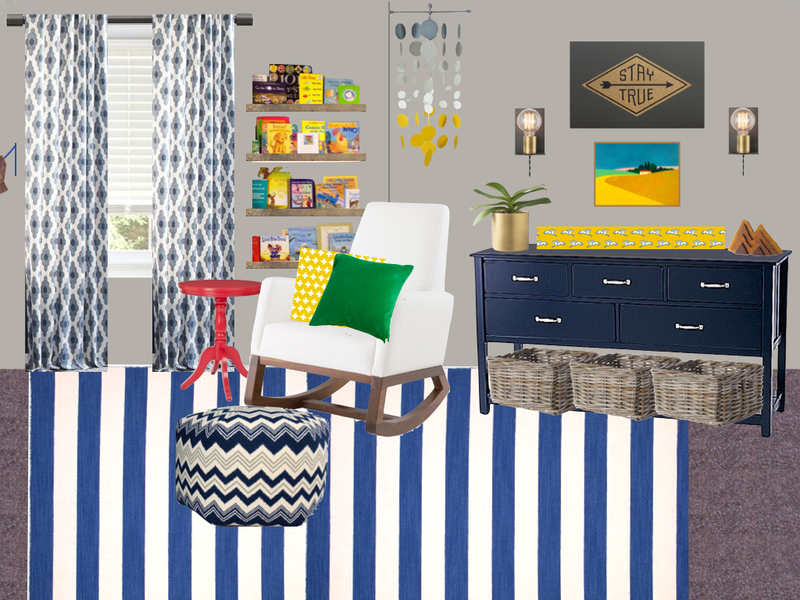 Thought I would share the inspiration board with you as a source of inspiration for your projects (I won't share the sources as the full design details belong to my clients). Isn't it darling? And it will last well into growing-boy-hood. 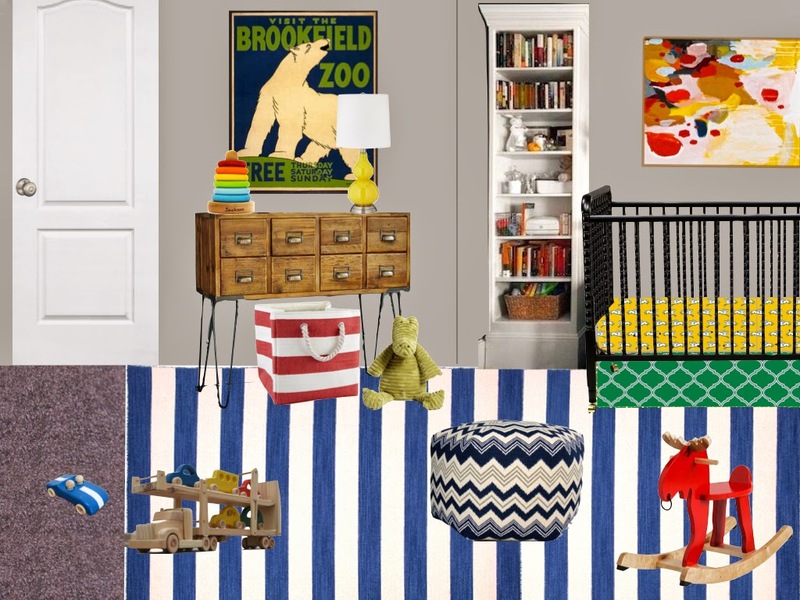 We used the below nursery by Erika (featured on the Elements of Style blog here) as our inspiration, tweaking the colors and overall feel just a bit. What are your thoughts? Any favorite features of the inspiration board design?